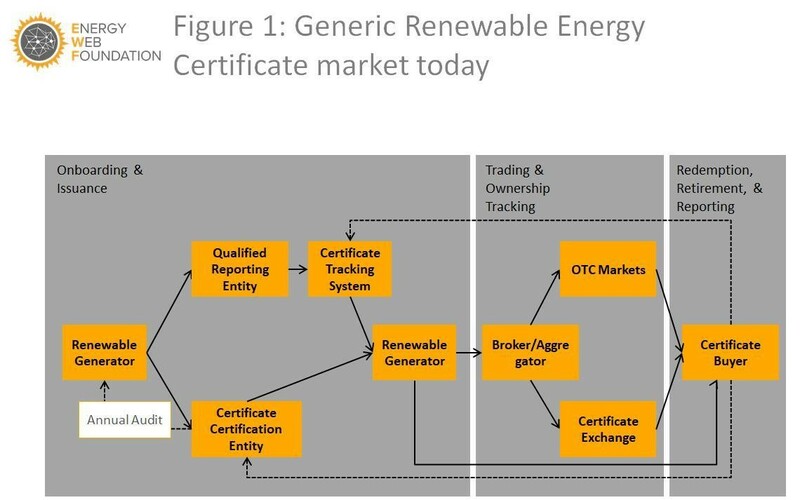 Smart contracts can be linked to wind turbines to direct their behaviour. As ‘cryptomania’ gripped trading markets at the end of 2017, a disturbing fact about the early blockchain algorithms used in platforms like Bitcoin and Ethereum came to the fore: they use staggering amounts of electricity. Estimates suggest that powering Bitcoin’s daily transactions – the largest of the cryptocurrencies by market value – consumes the energy equivalent of a country, recently surpassing Denmark and Ireland. While there is some debate over the exact figures, it is evident that the mining process of validating transactions on a blockchain has a significant energy downside. Public blockchains like Bitcoin and Ethereum can only handle between seven and thirty transactions per second today. Digitising and incorporating all energy-producing and consuming devices into a transactive grid demands the ability to handle millions of transactions per second. For grid operations to become fully digitised and autonomous, a scalable means of authenticating, registering, and monitoring blockchain-connected devices is required. This would entail opening protocols that are currently proprietary and adapting a range of devices to enable connectivity. Rolling out standardised, blockchain-based market policies and frameworks will require regulators to align on approaches for how transactions are cleared (this is called a consensus mechanism in the blockchain community). With the scale of deployed resources and activity, we expect to quickly establish the possibilities and limitations of this new technology. And while near-term concerns about energy consumption are well-founded, future generations of blockchain technology will most certainly find ways to eliminate energy-intensive mining. When this happens, we believe that blockchain will quickly shed its image of environmental villain to reappear as clean energy superhero.